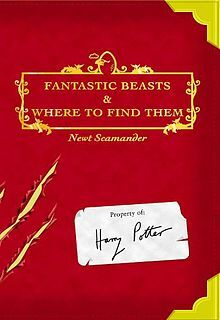 Fantastic Beasts and Where to Find Them was originally published in 2001 and many booksellers are disgruntled that publishers in Canada, US and the United Kingdom are holding back the original title, because of the screenplay release. Barnes and Noble, Chapters Indigo and Waterstone’s were all hoping to sell the older edition because of the upcoming movie, but are forced to just sell the screenplay, which appeals to a limited audience. Harry Potter and the Cursed Child broke pre-order records for online retailers such as Amazon and Barnes and Noble. These booksellers issued press releases and reached out to many book blogs to let them know about the accelerated demand. Things are more muted though, regarding the new Fantastic Beasts screenplay. I have not seen any press releases or sales records being broken, in-fact most bookstores do not even have a front-facing display stand advertising the new title. Why is the original Fantastic Beasts and Where to Find Them title impossible to buy? A Bloomsbury spokesperson confirmed the publisher is withholding copies of the original 2001 Fantastic Beasts title in anticipation of releasing a new edition, with a foreword by J K Rowling, next year. “The current edition of Fantastic Beasts and Where to Find Them is not available to all retail customers as a new edition is set to publish in March 2017,” the spokesperson said. “The new edition will contain updated and extra content from J K Rowling, that will more correctly reflect the world J K Rowling has created in her script for the forthcoming Warner Brothers film. FYI, the original booklet is not a novel. There’s no plot or anything. It’s just a list of magical critters, with student graffiti. thanks, i made the change. Well… Cursed Child had big pre-orders because people wouldn’t be able to see the play and because of the promise of “the 8th story” (which was a lie and backfired on them). It reflected the success of the previous books and no one yet knew how bad a story it was. Now people just watch the movie (which is going really well).